When he e-mailed me from Preston he did not know he was writing a post! Finally got wormery photos. The wormery has been covered since November to stop the worms getting waterlogged and cold. The top container was topped up with kitchen waste about 2 weeks ago. 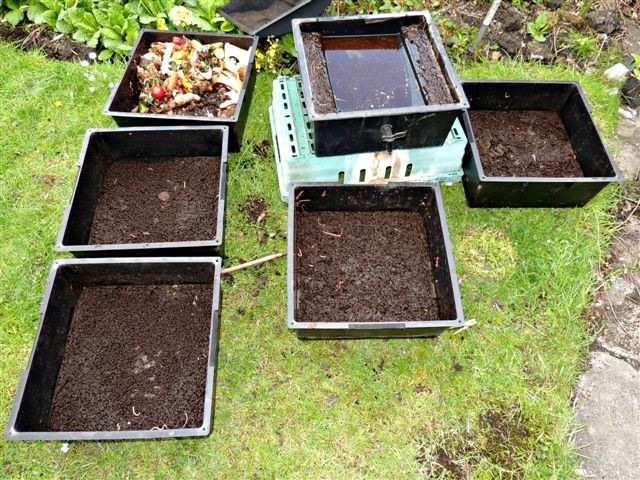 The other containers contain the broken down waste the worms have produced for the last 6 months. The liquor produced over this time amounts to about 8 litres. My next job will be to recover any worms still in the casts in lower containers and then harvest the casts. Please let me know if the photos are satisfactory and if you need any more information. Thanks for the great pictures and info. I expect it will be a surprise for you to find yourself plastered over a blog! That liquor looks good enough to drink. What dilution do you use when you liquid feed? I believe all kinds of good things are claimed for it. Do all those different worms co-exist together? What was that site on the net where you keep your pictures? Your pics of animals and plants in Costa Rica were terrific. More photos and information about my wormery. Since last email I have sorted out the trays and harvested the casts. I normally just have to remove the worms from bottom trays and save the cast material but on this occasion I found that at the bottom of the trays the worms were still trying to munch their way through hundreds of used tea bags. Therefore I skimmed off the good casts and re-distributed the rest of the contents between the other trays. Hopefully this will help the digestion of the tea bags. We must have overdosed on tea (ourselves and the worms!). I harvested about 20 litres of casts. This is since last November when worms tend to be less active because of the cold. The worms also produced another 2 litres of liquor since last writing to you. The liquor is diluted 10:1 with water and used as liquid feed throughout garden and greenhouse. Cast material is used as a top dressing on all planted areas of garden and greenhouse. 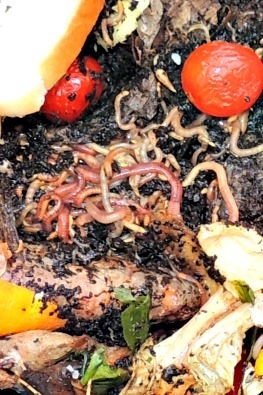 The worms are fed on household kitchen waste i.e. peelings, vegetable leaves, bread, unwanted salad items and by the look of things too many tea bags!! 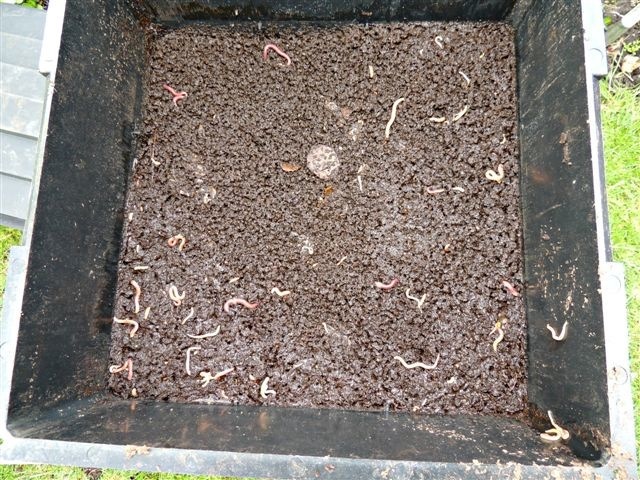 As mentioned my first wormery (wheelie bin type) was a complete disaster and totally un-user friendly. This present one (Wormcity) works very well and is much easier to maintain. The firm gave me great personal service. Trays can be easily inspected and rotated up or down with each other if required. You can also get at the bottom liquor collection area if the drain tap gets blocked. The wheelie bin type used to constantly block with drowned worms but this does not now happen. Although there are three different types of worms in the wormery, they all seem to get on with each other and produce lots of ‘babies’. This is our website address for our holiday snaps. On there you will find photos of our visits with you to Floriade 2012 and Keukenhof. Hope this gives you an insight into the wormery world. I am sure Harry would be pleased to answer any queries via ‘comments’. 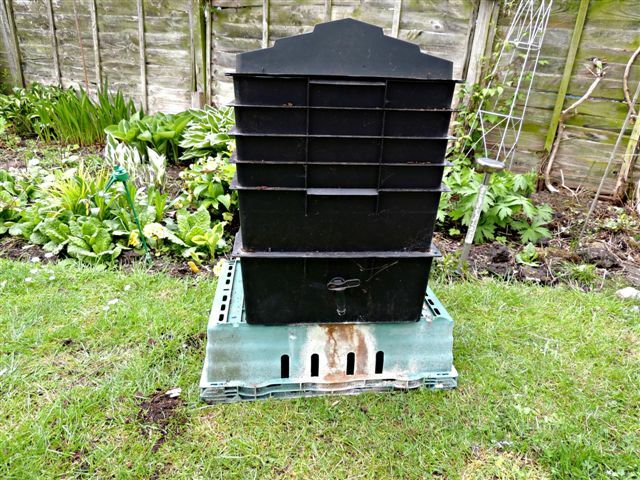 A very novel post - we have kept thinking about getting a wormery but tend to just think about it! I think worm composting is really fascinating. When I got the gardening bug as a kid I loved making compost. I do not even have a regular type compost heap now - but do recycle all my organic matter one way or another! Very interesting post Roger with great photos included. Harry Kennedy's pictures are very good, Cher. Have a look at them on the link. Those of his orchid and tropical plants in Costa Rica have persuaded us to go there with them in January! That certainly looks like a most efficient wormery. I do not have a wormery as such, but my compost bins are effectively wormeries. When I dig them out every few months there are always thousands of worms in each bin, and the material I distribute onto my raised beds is mostly the result of the worms' digestion. The biggest problem I have had is that the badgers know the compost bins are full of worms and dig down under the rims to get at them! Thanks for this interesting information Mark. I have read about your badger problems on your blog! Amazing! I have worms in my compost, and they do such a great job. This is a very smart way to have a wormery. A story of a dicentra… and a fine lady.